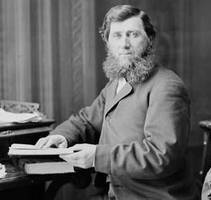 McGREGOR, JAMES DRUMMOND, businessman, politician, and office holder; b. 1 Sept. 1838 in New Glasgow, N.S., son of Roderick McGregor and Janet Chisholm; cousin of James Gordon MacGregor; m. first 12 Dec. 1867 Elizabeth A. McColl (d. 1891) in Halifax, and they had three children; m. secondly 11 Oct. 1894 Roberta Ridley in Montreal; d. 4 March 1918 in New Glasgow. James Drummond McGregor was born into an established merchant family in New Glasgow. He was named after his grandfather the Reverend James Drummond MacGregor*, a pioneering Presbyterian minister in Pictou County. McGregor was himself a devout Presbyterian, an elder in the church, and he would be active in organizations such as the Lord’s Day Alliance and the British and Foreign Bible Society for most of his life. McGregor’s father had begun a wholesale-retail trade in partnership with his brother James in 1830. They split up in 1843 when James went into the hardware business. Roderick subsequently expanded into provisioning, general merchandising, and shipping through R. McGregor and Sons, in which his two sons, James Drummond and Peter Archibald, were partners. The business grew rapidly, and by the time James Drummond succeeded his father as senior partner the family had become one of the two wealthiest in the New Glasgow area. By the early 1880s the shipping trade upon which McGregor’s business depended was in decline. In order to diversify, he purchased $10,000 worth of shares, one of the largest single holdings, in the Nova Scotia Steel Company Limited at its incorporation in 1882. Nova Scotia Steel had been founded by New Glasgow ironmasters Graham Fraser and George Forrest McKay, who did not have enough personal capital to construct Canada’s first primary steel mill. The company was capitalized at $150,000; McGregor and his fellow New Glasgow merchants put up $55,000, Fraser and his partners $40,000, and various other interests, including John Fitzwilliam Stairs* of Halifax, the remainder to construct the new plant and purchase the requisite equipment. Through his large contribution, McGregor became the first president of Scotia, as it would later be known. However, his handling of company affairs came to be resented by the general manager, Fraser, who viewed McGregor as a merchant too conservative to be an industrialist, and also at times simply incompetent. This conflict was not resolved until 1889, when Fraser replaced McGregor as president. Freed from executive responsibilities, McGregor began to pursue a career in politics. He already had extensive experience as a community leader. 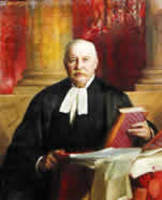 Appointed school commissioner for Pictou County’s southern district in 1860, he became one of the county’s justices of the peace ten years later and the fourth mayor of New Glasgow in 1879. 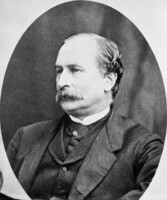 In 1890 McGregor entered provincial politics when he was elected Liberal mha for Pictou County. 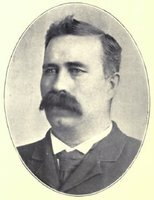 He failed in his attempt to win a second term in 1894 but regained his seat in 1897 and served until 1900, when he resigned to run in federal politics for Pictou. Defeated in the general election of that year, McGregor was appointed to the Senate in April 1903 by the Liberal government of Sir Wilfrid Laurier; there he replaced James William Carmichael*, a relation by marriage. He felt out of place in Ottawa, however, and spent as much time as possible in New Glasgow. After his defeat, McGregor returned to the Senate and his many public-service and religious activities. He hoped to be appointed lieutenant governor of Nova Scotia after Alfred Gilpin Jones* died in March 1906, but to his consternation another Pictonian, Duncan Cameron Fraser*, was nominated. The month after Fraser’s death in September 1910, however, McGregor received the reward he coveted. The Montreal Gazette commented that McGregor was a “quiet, unassuming and able man, whose elevation is an honour to a worthy citizen.” Judging from his journal accounts, he enjoyed the ceremonial nature of the post until the end of his term in 1915. Although he continued to attend the directors’ meetings of the companies with which he was associated, including Scotia, he concentrated on his public activities for the remaining years of his life. PANS, MG 1, 168, file 8; MG 2, 1242–49; RG 2, 58. J. M. Cameron, Industrial history of the New Glasgow district ([New Glasgow, N.S., 1960]). L. D. McCann, “The mercantile-industrial transition in the metals towns of Pictou County, 1857–1931,” Acadiensis (Fredericton), 10 (1980–81), no.2: 29–64. Nova Scotia Steel Company, Reports of directors and financial statements, 1883–1910 (n.p., n.d; copy in PANS, Library). Gregory P. Marchildon, “McGREGOR, JAMES DRUMMOND,” in Dictionary of Canadian Biography, vol. 14, University of Toronto/Université Laval, 2003–, accessed April 21, 2019, http://www.biographi.ca/en/bio/mcgregor_james_drummond_14E.html.